Welcome to Pikes Peak Aikido! →Uncategorized→Welcome to Pikes Peak Aikido! Interested in trying a martial art, but have no idea where to start? Are you an experienced martial artist looking to enhance your training?Consider studying Aikido at Aikido of Pikes Peak! 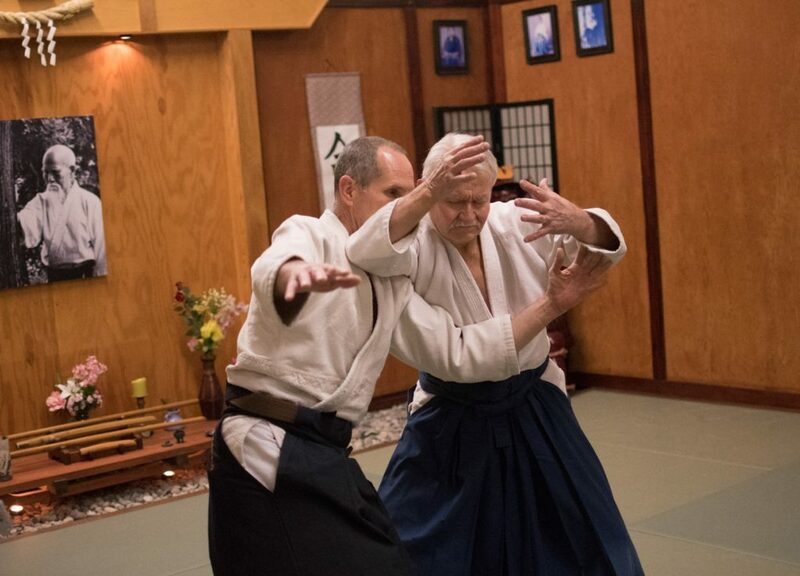 As the longest continually operating Aikido dojo in the Colorado Springs area, we offer a broad curriculum that includes traditional Aikido weapons training (Aiki-Ken and Aiki-Jo) and exposure to several styles of Aikido. Aikido is a traditional Japanese martial art that makes use of joint locks and throws/projections to take an attacker’s balance and redirect the energy of an attack. Aikido emphasizes “whole body” training, starting with “kihon waza” or “basic techniques.” Kihon waza emphasizes cooperative training methods, allowing a beginner of any age, gender, weight, or physical condition to train at a level that encourages progression while greatly reducing the chances of injury during practice. Advanced training progresses to a higher intensity “freestyle” or “jiyu waza” against one or more attackers. Training is non-competitive, with an overarching goal of improving martial effectiveness. The benefits of Aikido training include: improved balance and agility, stress reduction, the development of ethically motivated self-defense skills, and it’s fun. Our beginner’s special provides a low-cost opportunity for students aged 14+ to try out Aikido. For $140.00, you can attend as many classes as you like for three months and you get a practice uniform. Feel free to visit the dojo during any class. We welcome visitors/observers. If you’d prefer to jump right in and start training, just show up for any class in loose-fitting clothing (a T-shirt and sweatpants will work just fine).